Business was slow when I stopped in to The Occasional Market today. I tried to stir things up by wheeling my sales cart out onto the sidewalk to do some drawing. 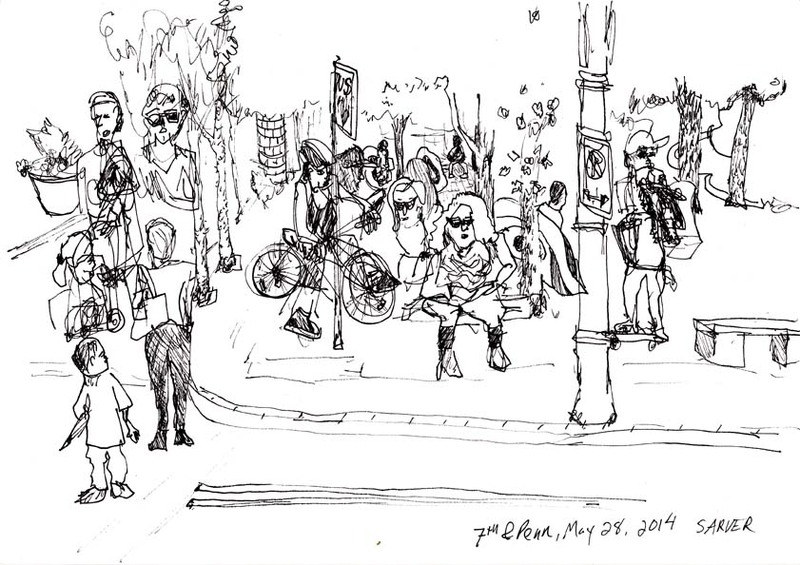 There weren’t many window shoppers around, but there was a lot of activity to sketch at Katz Plaza.